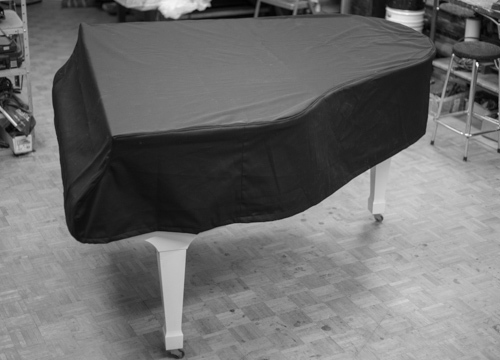 A custom made cover is a great way to protect your piano from scratches, nicks and dings and dust. Perfect for anywhere that a piano needs to be protected. Available in a wide variety of materials, pictured is our most popular – the mackintosh cover. Price varies depending on size and material, but are priced around $500.00 + HST.